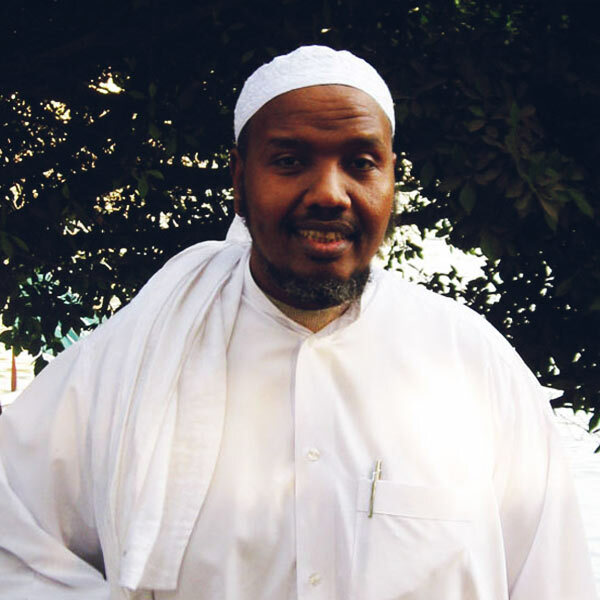 Sheikh Abdul-Rashid is a Somali Quran reciter. He was born in 1964 to the reciter and preacher Ali Abdul-Rahman Sufi, who did a lot for the Quran recitation in Somalia. Abdul-Rashid Ali Sufi’s father has also taught numerous theologians. He built many schools and institutes for teaching and learning the Quran. He founded the famous mosque of Mogadishu which was called Al-sheikh Ali Sufi Mosque. Sheikh Sufi first learnt the Quran at the mosque and finished memorizing it at the age of ten. He certainly owed to his father many of his skills. He taught him different recitations and the interpretations of the Quran and the Fiqh. Abdul-Rashid Ali Sufi went to Egypt in 1981 where he enrolled in the Quran Recitations institute and earned a high certificate in the ten recitations. In parallel, Abdul-Rashid carried out studies in Al-Azhar Mosque and was awarded by the late Sheikh Mohamed Ibn Ismail Al-Hamdani two degrees in the ten recitations.